I endorse Dean without reservation, as he is an exceptionally sharp attorney with an encyclopedic knowledge of the law. Amongst his colleagues, Dean has a reputation for integrity and commitment to his clients. My personal experience in opposing Dean is that he does not approach opposing lawyers with the needless antagonism, which only serves to drive up litigation costs. To the contrary, Dean makes every effort to settle the case in a thoughtful and creative manner. Dean Taradash is a lawyer that represents people going through one of life’s most traumatic events … divorce. Since 1999, Dean has focused his entire practice on assisting people through the divorce process. Dean has represented people throughout the state of Illinois and has a reputation for being a zealous advocate for his clients, both in and out of the courtroom. Dean is dedicated to ensuring that his clients obtain the most favorable outcomes while also understanding that not every issue is a fight. If an issue can be resolved amicably and without court intervention, Dean is always happy to resolve matter outside of court. If, however, his clients need someone to stand up for them and protect them, Dean has the knowledge and experience to litigate the issue. 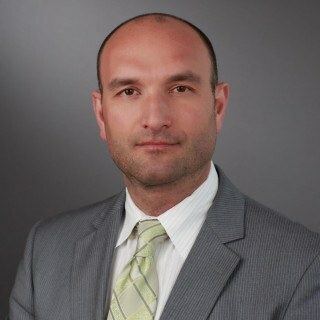 Dean has represented men and women in all aspects of family law. From hotly contested custody disputes to handling complex financial issues, Dean has the experience necessary to serve the best interests of his clients. Dean believes that his client’s needs and interests always come first. Dean has the compassion to understand how mentally exhausting a divorce can be and tries to navigate the system for them as seamlessly as possible. Dean understands that divorce not only impacts the spouses, but also the children. As such, Dean is routinely appointed by judges to represent children in the midst of divorce. As an advocate for children, Dean protects children and insulates them from the ugliness of divorce and custody disputes. Dean understands the importance of a child having both parents in his/her life and tries to get the parents to act in the best interests of their kids. Dean is the founding member of the Taradash Group, P.C. and is proud to represent people going through one of life’s toughest events. Q. Childs mother has kept child from me for 2 months..can she legally keep my daughter from seeing me..
A: Of course not. You need to enforce your rights. Feel free to call me at 312-775-1020 to discuss. Q. What else can I do to establish paternity ? A: You should have a lawyer represent you in this matter. Feel free to call me at 312-775-1020 to discuss your situation. A: You should show your documents to a lawyer. Feel free to call me at 312-775-1020. Q. Can I just get a motion instead of a petition to see a judge? A: You should talk with a lawyer ASAP. Feel free to call me at 312-775-1020. Q. The mother of my two children up and left without notice, not sure she is coming back. What can I do? A: How long has she been gone? Are the children with you? If yes, get a Petition on file asap. Q. My son's mother is homeless and unemployed. My son is now living with me. Can I get full custody? Q. I'm the father of a soon to be 13 year old. His mother and I were never married. Can she move with him out of state ? A: If you have been declared the father, then she can’t leave. You shouid call a lawyer asap. Q. receive allocated family support- (maintenance and child support together in one payment. I am in Illinois. A: You should have a lawyer review your divorce decree. If possible, you should file a Motion to Extend the Unallocated Support. Q. as a grand mother can i get court ordered visitation of my grand children? A: You should call a lawyer to discuss your rights as a grandparent.